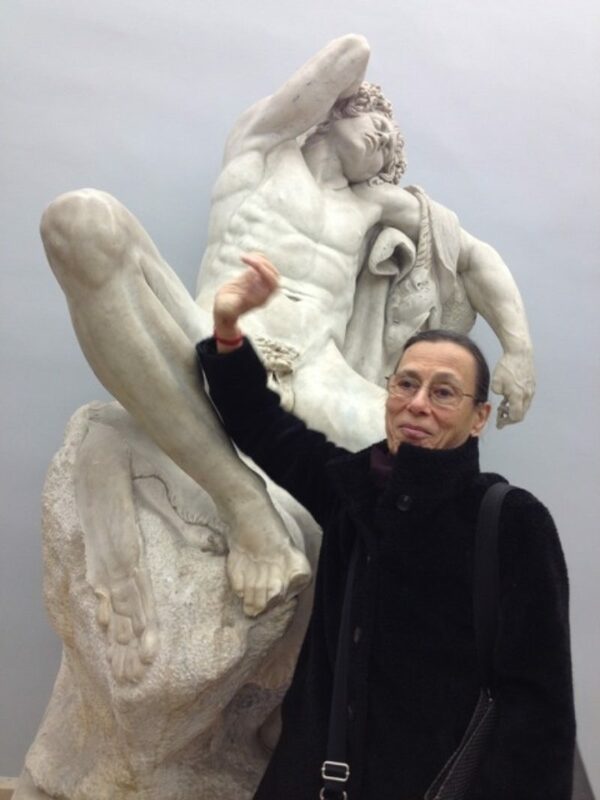 Yvonne Rainer, one of the founders of the Judson Dance Theater (1962), made a transition to filmmaking following a fifteen-year career as a choreographer/dancer (1960-1975). After making seven experimental feature-length films — “Lives of Performers” (1972), “Privilege” (1990), and “MURDER and murder” (1996), among others — she returned to dance in 2000 via a commission from the Baryshnikov Dance Foundation (“After Many a Summer Dies the Swan”). Since then she has made six dances, including “AG Indexical, with a little help from H.M.,” “Assisted Living: Do you have any money?” and “The Concept of Dust: Continuous Project – Altered Annually.” Her dances and films have been seen throughout the U.S., including the Whitney Museum, the Museum of Modern Art, the Kitchen, Dia Beacon; in Europe and South America at the Louvre and Montpelier, also Documenta 12, Helsinki, Italy, Dublin; London, and Sao Paulo, Brazil. Museum retrospectives of her work, including drawings, photos, films, notebooks, and memorabilia, have been presented at Kunsthaus Bregenz and Museum Ludwig, Cologne (2012); the Getty Research Institute, Los Angeles; Jeu de Paume, École des Beaux Artes, La Ferme du Buisson, Paris, and Raven Row, London (2014). A memoir — “Feelings Are Facts: a Life” — was published by MIT Press in 2006. A selection of her poetry was published in 2011 by Paul Chan’s Badlands Unlimited. Other writings have been collected in "Work: 1961-73" (1974); "The Films of Y.R." (1989); and "A Woman Who…: Essays, Interviews, Scripts” (1999). She is a recipient of two Guggenheim Fellowships and a MacArthur Fellowship.